The promulgation of the Banking Regulation (Amendment) Ordinance, 2017 inserting two new Sections (viz. 35AA and 35AB) after Section 35A of the Banking Regulation Act, 1949 enables the Union Government to authorize the Reserve Bank of India (RBI) to direct banking companies to resolve specific stressed assets by initiating insolvency resolution process, where required. The RBI has also been empowered to issue other directions for resolution, and appoint or approve for appointment, authorities or committees to advise banking companies for stressed asset resolution. 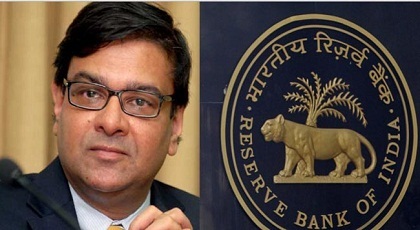 This action of the Union Government will have a direct impact on effective resolution of stressed assets, particularly in consortium or multiple banking arrangements, as the RBI will be empowered to intervene in specific cases of resolution of non-performing assets, to bring them to a definite conclusion. The Government is committed to expeditious resolution of stressed assets in the banking system. The recent enactment of Insolvency and Bankruptcy Code (IBC), 2016 has opened up new possibilities for time bound resolution of stressed assets. The SARFAESI and Debt Recovery Acts have been amended to facilitate recoveries. A comprehensive approach is being adopted for effective implementation of various schemes for timely resolution of stressed assets. CBDT seeks the stakeholders’ comments/suggestions on the Draft Rules relating to valuation of unquoted equity share for the purposes of Section 56 and Section 50CA of the Income-tax Act, 1961. The Finance Act, 2017 inserted clause (x) in sub-section (2) of Section 56 of the Income-tax Act 1961(‘the Act’) so as to widen the scope of taxability of receipt of sum of money or property without/inadequate consideration. Under the said clause read with Rule 11UA of the Income-tax Rules, 1962(‘ the Rules’) if a person receives jewellery or artistic work or shares and securities for no / inadequate consideration, the fair market value(FMV) of the same is taken into account for computing taxable income under the said clause. Similarly, for immovable property, the stamp duty value is taken into consideration for determining taxability under the same section. However when these assets are received as underlying assets of unquoted equity shares of company, the book value (and not the FMV / stamp duty value) is taken into consideration for determining the value of such shares. Further, the Finance Act, 2017 inserted new Section 50CA in the Act with effect from 1st April, 2018 to provide that where consideration for transfer of unquoted equity share of a company is less than the FMV of such share determined in accordance with the prescribed manner, the FMV shall be deemed to be the full value of consideration for the purposes of computing income under the head "Capital gains". In view of this, it is proposed to amend the Rules to prescribe the method of valuation of unquoted equity share for the purpose of clause(x) of sub-section (2) of section 56 and section 50CA of the Act by taking into account the FMV of jewellery, artistic work, shares & securities and stamp duty value in case of immovable property and book value for the rest of the assets. In order to have wider consultation in this matter, the draft of proposed Amendment of Rules under the Income-tax Rules, 1962 to prescribe the method of valuation of unquoted shares for the purpose of clause(x) of sub-section (2) of Section 56 and Section 50CA of the Act has been uploaded on the website www.incometaxindia.gov.in. The stakeholders are requested to send their comments/suggestions on the draft notification by 19th May, 2017 to the e-mail address (dirtpl2@nic.in).